A sweet little love story is at the heart of Wes Anderson's latest cinematic adventure. Twelve year old Sam Shakusky(Gilman) is an outcast in every way. He is currently a "khaki scout" at Camp Ivanhoe led by Scout Master Ward (Norton). None of his scout mates like him. He was also put up for adoption, and his new parents don't feel like they need him back. Over the past year, he has been writing letters to Suzy Bishop (Hayward) who is another twelve year old outcast. Her parents Mr. Bishop (Murray) and Mrs. Bishop (McDormand) are quite eccentric themselves. Mrs. Bishop seems to always be speaking through a megaphone. Sam and Suzy decide to run away together. Being the scout that he is, he is equipped with every piece of camping and survival equipment under the sun. She brings along some books and some records and her trusty binoculars. I think they run away despite the fact they know at some point they will get caught. During role call Scout Master Ward realizes one of the scouts is missing. They go to Sam's tent and realize he left Shawshank Redemption style. He cuts a hole out of his tent and covers it with a poster. He contacts Captain Sharp (Willis) and a search team is assembled. Scout Master Ward, the scouts, and Mr. and Mrs. Bishop set out to find Sam and Suzy. Captain Sharp contacts Social Services (Swinton) when it is determined Sam's adoptive parents don't want him back if they find him. One of the elements of the movie I was so fascinated with was the cinematography. Robert D. Yeoman is the cinematographer and has worked on all of Anderson's movies. His way of capturing the color palette and life on the island was exquisite. Every shot looked to be specifically chosen and set up for a very specific reason. Each frame looks like a picture. There is mood, feeling, and energy with each shot. You will notice a predominant use of tight close up shots throughout the movie. Many times you are looking at one character through the eyes of another character or you are looking at a prop or object from their eyes. The opening segment, which is a tour of the Bishop house, is ingenious. The opening credits introduces us to the list of characters we will see in this kingdom along with the names of each actor playing them. Like any Wes Anderson movie, you know you are in for a treat when certain names pop up. Bill Murray and Jason Schwartzman are regulars in every Anderson adventure. It takes a certain kind of actor to be successful in an Anderson movie. They are often asked to play someone quirky and peculiar, often times outside of the general body of characters an actor is used to playing. McDormand and Swinton are perfect as these types of characters so they are always welcome in Anderson's world from now on in my opinion. I was surprised to see Harvey Keitel's name pop up in the credits, but he is terrific as well. 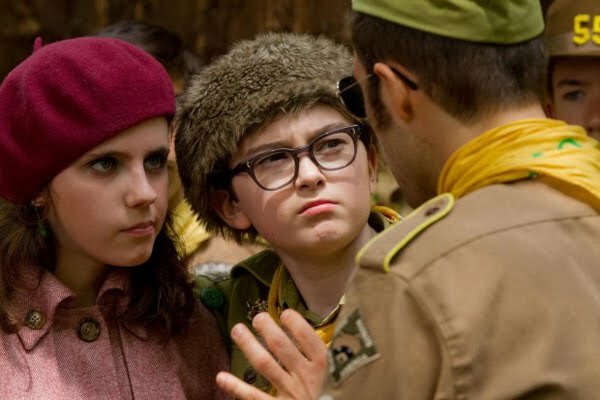 This is the first movie for Jared Gilman and Kara Hayward. You would never know that as they created unique characters and carried the movie quite well. I always look forward to a new Wes Anderson movie whenever I hear one announced. He is one of the most original and creative writer/directors working today. He always provides a one-of-a-kind creative vision that is truly his own. When you see one of his movies, you know it is a Wes Anderson movie. Moonrise Kingdom is his best work since The Royal Tenenbaums. Nice write-up Paul. 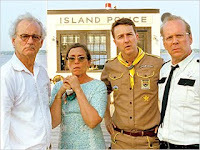 Wes Anderson seems like he really brought his A-game to this story and it shows. Everything here just looks beautiful and works out perfectly that it easily has to on my list for best of the year so far. Hopefully Anderson can keep this up. Thanks for reading! It definitely is on my top of the year list so far as well. It was a beautiful movie. p.s. love your Stand By Me quote, so true! 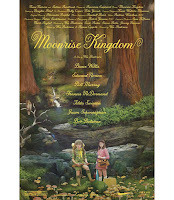 Thanks for reading my blog and the review of Moonrise Kingdom. You must see The Royal Tenenbaums. It is fantastic with a great ensemble of actors and typical quirky Anderson characters. I left a comment on your review as well. Thanks for pointing out the Stand By Me quote. 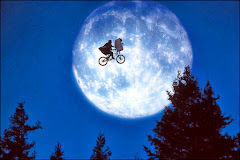 It is my favorite movie of all time and I get excited when others have seen it and love it! Love your review, Paul!! This was definitely his best since Tenenbaums, yes. I liked what you said about each shot being like a picture and evoking so much color and emotion, etc. Very true. I just love how he writes, directs, his casting, even the music in his movies is great. Love love love this one! Thanks for reading the blog again. I'm glad you got around to seeing it. Wes created another delightful movie that only he could come up with.